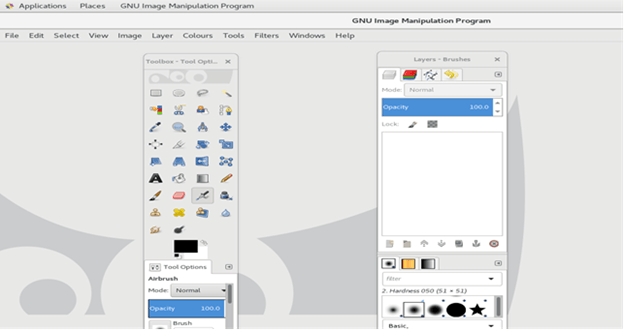 GIMP is the acronym for GNU Image Manipulation Program. It is free and open source raster graphics editor used for image retouching and editing, free form drawing, converting between image formats and many more tasks. It is released under GPL3 license and is available for Linux, Microsoft Windows and MacOS. In this tutorial, we will install GIMP on CentOS. EPEL repository must be installed. Installing GIMP on CentOS is very easy. It just need a single command for the installation. Execute the following command. We can check whether gimp has been successfully installed on the system by just typing gimp on the terminal. Hene, we have installed and get started with GIMP on CentOS.